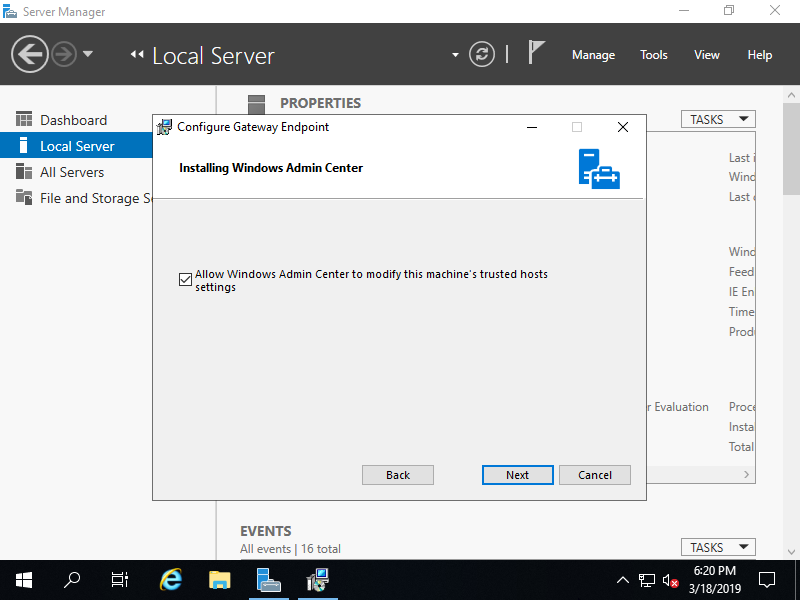 Install Windows Admin Center that is featured when Server Manager runs on Windows Server 2019. It's possible to Manage Windows Server Hosts and Client Hosts on it. 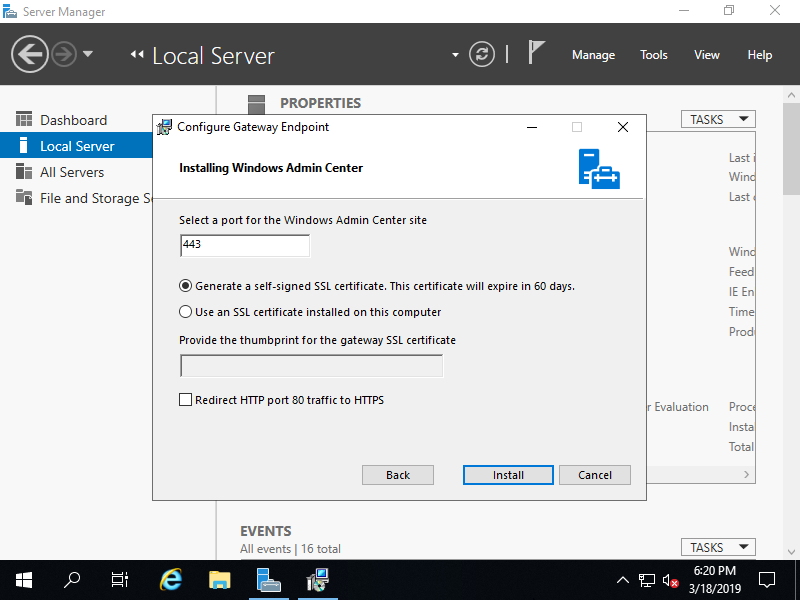 If you manage only a Windows Host with Windows Admin Center, it's OK to install Admin Center on it, but if you'd like to manage multiple Windows Hosts, it needs to install Admin Center on a Gateway Server. 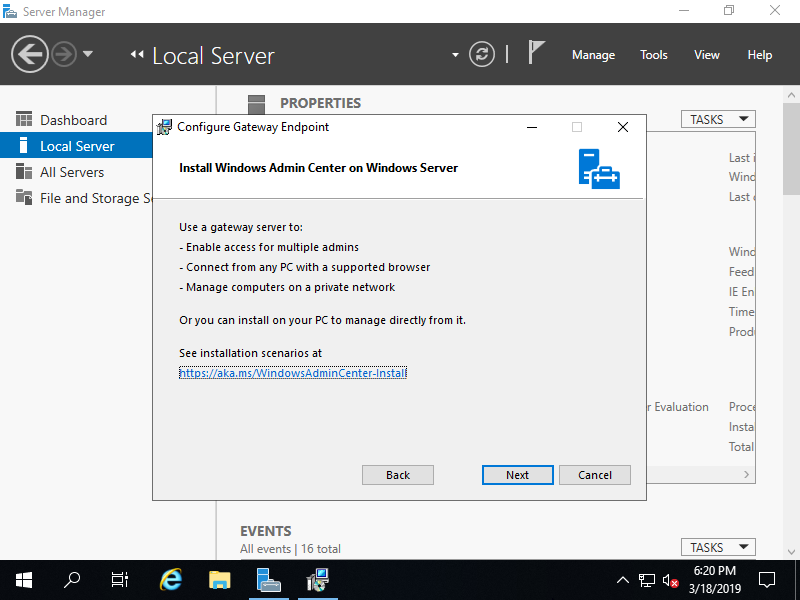 The Windows OS that you can install Admin Center with Gateway Mode are Windows Server 2016 and Windows Server 2019 now. 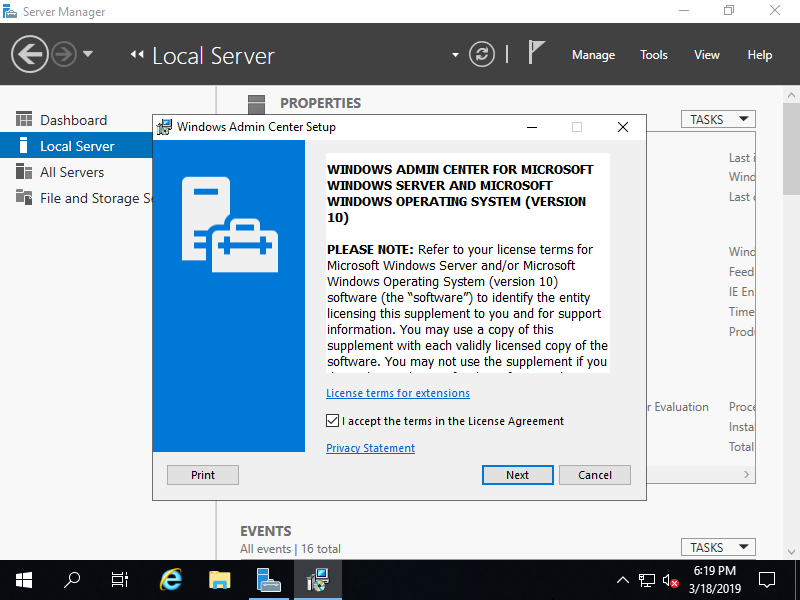 By the way, Installing Admin Center on Domain Controller Hosts is not supported, so you need to choose to install Admin Cenetr as Gateway Server except DC. Anyway, Windows Admin Center does not require Domain Environmrnt, also possible to manage standalone Host on it. 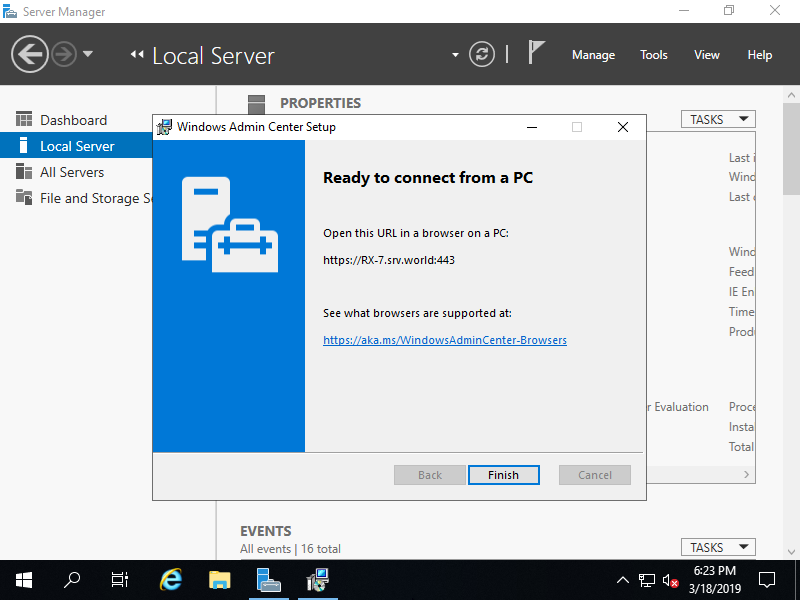 Download Windows Admin Center Installer from the official site below. There are latest release and stable release, select the one you like. After downloading Installer, run it. First, Read terms of license agreement well and go Next. 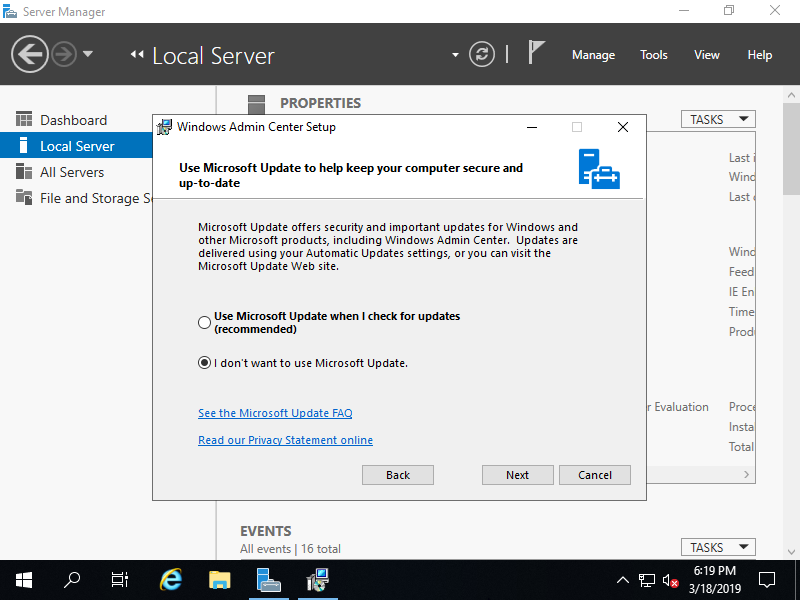 Select use Microsoft Update or not. Click [Next] button with keep default. Configure listening port and certificates for Windows Admin Center. Click [Finish] button to complete installation.